Angie & I had earlier failed to find the usual sign for El Donkey along R5, but had spotted fence posts and barbed wire to mark off the territory reserved for the R5 widening scheme. 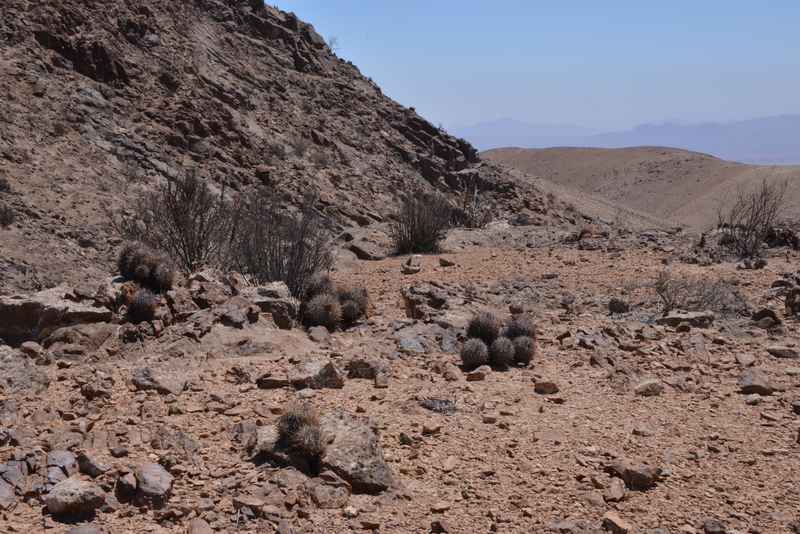 Today Bart wanted to show us a new (to us) location for Copiapoa andina that grows off the El Donkey track. Fortunately his notes gave the exact km reading for the turning to El Donkey and at the appointed spot there was indeed a turning, a gap in the fence and a small sign. I have no means of accessing the data in my MS Access database as there is no Apple software capable of reading it, but I’m told that we stopped at one of my stops where we had found this plant. 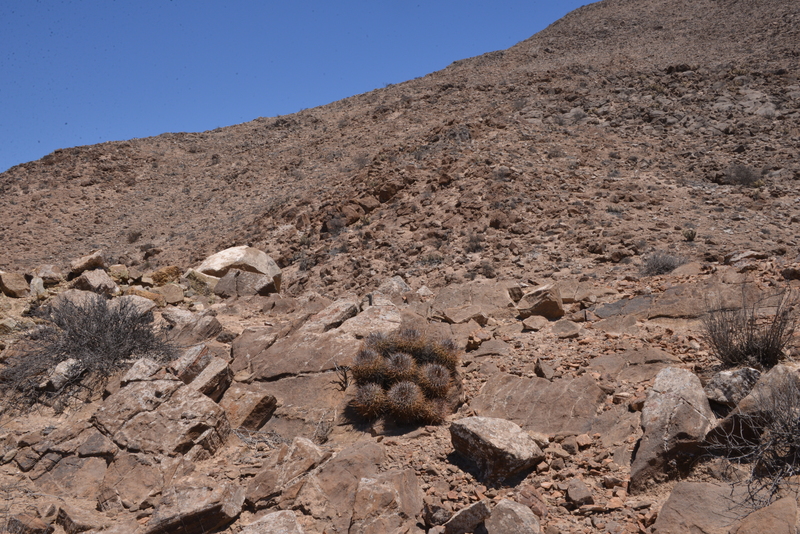 I could not recall this location but in any event we did not find any Copiapoa here. Bart & Marijke had gone back 5 km to find a turning onto a track where they had found a new population, and came back with the good news that they had found it. The bad news was that the track was only really accessible for a 4×4 and Jonathan & my car was just 2x drive, but luggage and washing drying were soon moved to make space for us in Brendan & Lucy’s car. We parked our car in a suitable space in the desert (no car park charges here) and bounced along the track for a number of km until Bart stopped and announced that we had arrived (S2897). 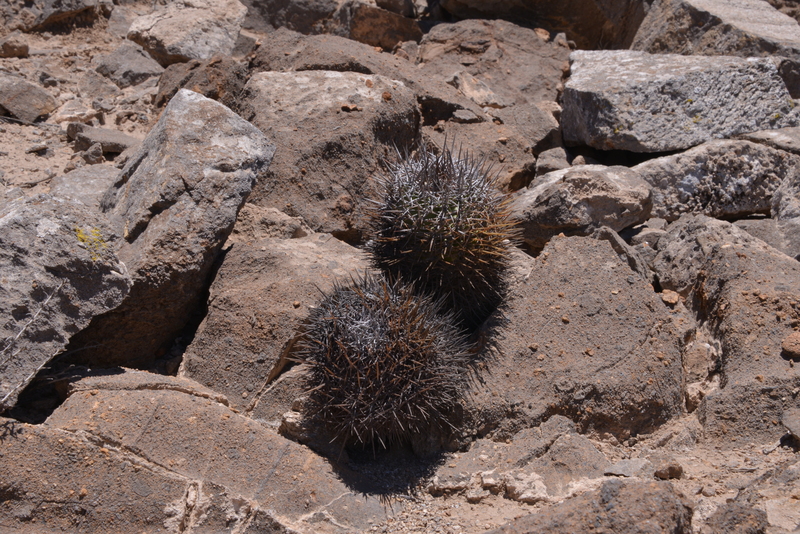 The plants were magnificent – lovely coloured spines and present in all sizes. 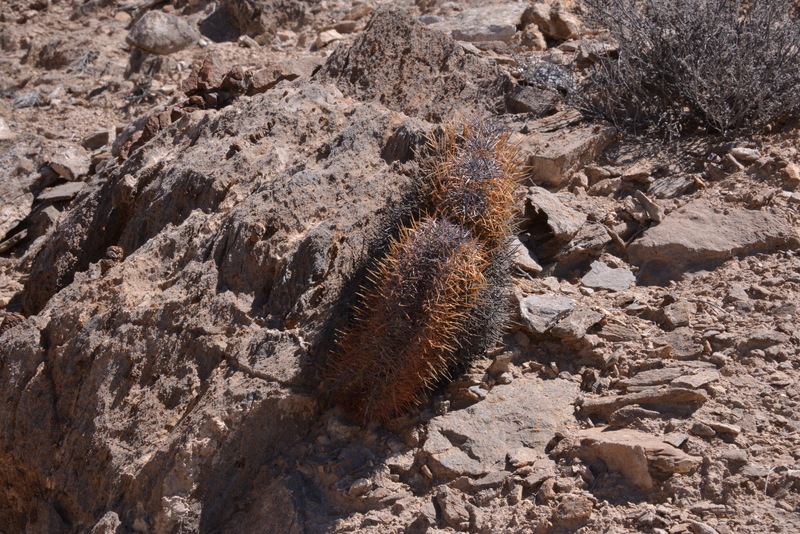 I still think that this plant is more closely related to C. megarhiza than to C. coquimbana. I would have named it as a species in its own right and let the ‘experts’ argue as to whether it is only a subspecies and of what. On their previous visit Bart & Marijke had been pleased to find the new spot but did not have time to explore a little farther to check the extent of the population. 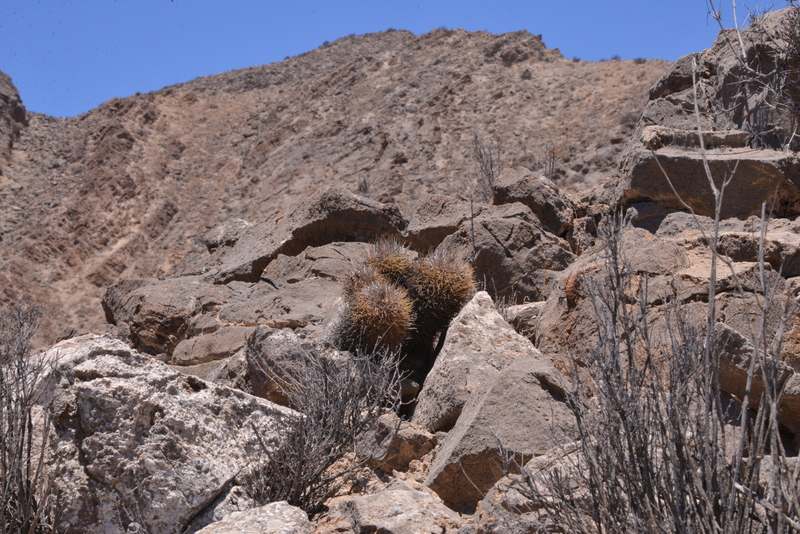 I checked out another rocky west facing outcrop through my 300 mm zoom lens and thought that I could see more globular cacti there. Fortunately it seemed that the track zigzagged onward towards these outcrops and so we went to take a look. There was a suggestion that as we got higher, the larger the plants became, perhaps benefitting from more fog. From this second location (S2898) we could see yet another rocky outcrop and here(S2899) too were more plants – this was really a very good day! 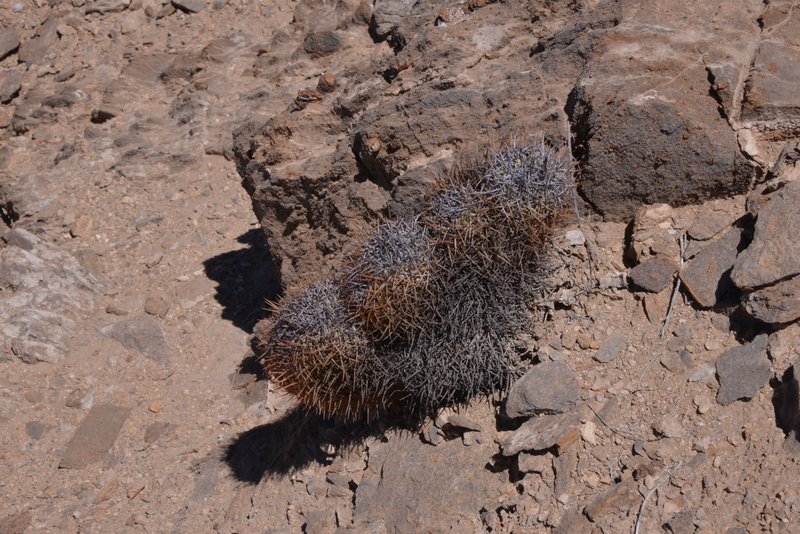 It only got better when here we found a crested plant (S2899). 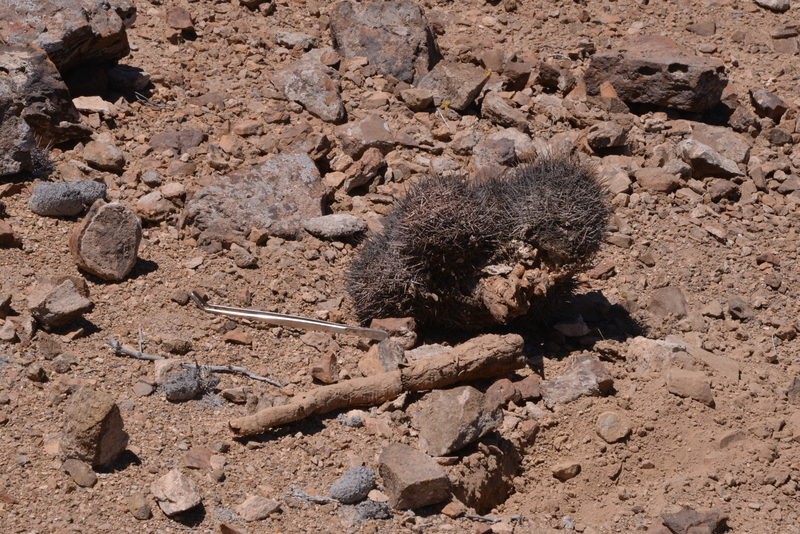 Bart found some fruits with viable seed but we failed to find plants in flower – Chile’s spring was late this year – or would it pass by unnoticed this year? On the way back, we managed to retrieve our car from the ‘car park’ without any problem – quite amazing when you imagine the small speck in the huge desert we were in. On the way back we stopped at the start of the hills on which C. andina is found and here we found another group of plants confirming for me that the plant that we had been chasing through the hills was indeed the plant discovered and described by Ricardo Keim & Ingrid Schaub. 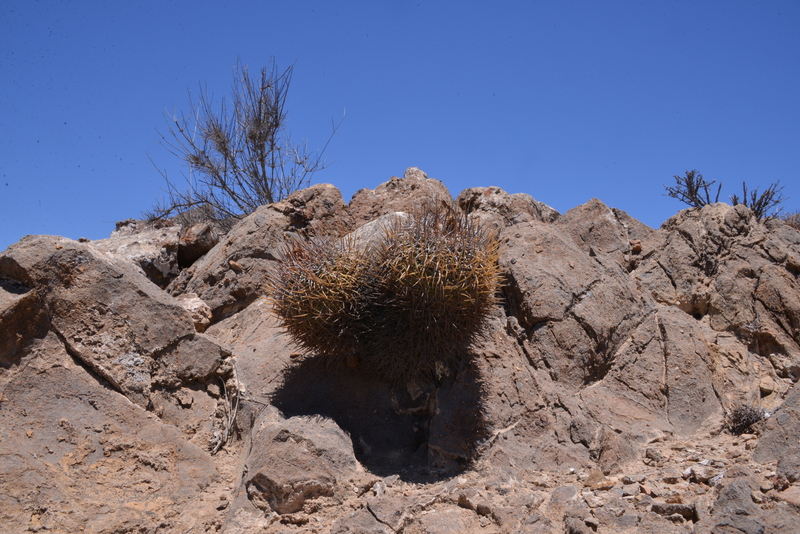 We recorded it at altitudes of around 1,100 m compared to the 1,200 – 1,400 m in their description – even so, this is the highest Copiapoa I know, growing the farthest inland. Our days of exploring were beginning to resemble regular work days more and more as we stopped off at the newly found coffee shop opposite the Copec on the old R5 outside Vallenar. Today there was an enormous selection of cream cakes on display and this time Lucy and Marijke, our Spanish linguists, were able to enquire into the availability of slices of these magnificent creations. One or two could be cut up, but most were only available complete, but we wisely decided this to be outside our sugar & cholesterol tolerances. So a nice cup of coffee and a slice of cake could now find itself onto the future timetables of Copiapoathons and the like. Very civilised – not so healthy!